One of the interesting wrinkles emerging as Quebec’s minority Parti Quebecois government pushes ahead with Bill-60 — the so-called values charter that would ban public servants from wearing ostentatious religious symbols while on the job — is the opposition of teachers and doctors. As both medicine and education fall under provincial jurisdiction, frontline educators (teachers, mainly) and the varied ranks of doctors, technicians and nurses that make up a modern medical staff will be covered by the bill. And they aren’t happy. Montreal’s Jewish General Hospital — where, unsurprisingly, there is some support of traditional religious rights — has already said that it won’t recognize the charter, should it pass into law. And the English Montreal School Board has also said that it will simply ignore the charter, too. These institutions aren’t alone in opposing the charter, of course. Polls have shown that the charter is supported by most Quebecers, but with a significant, though minority, bloc of die-hard detractors. The opposition is, unsurprisingly, most strong in multi-cultural, multi-lingual Montreal — and proposing policies that the anglos and allophones on the island won’t much like is nothing new to the PQ. But there is a danger to the Parti Quebecois here, and no less a figure in the sovereignty movement than Gilles Duceppe, former leader of the once formidable Bloc Quebecois, is urging the PQ to pull back here. 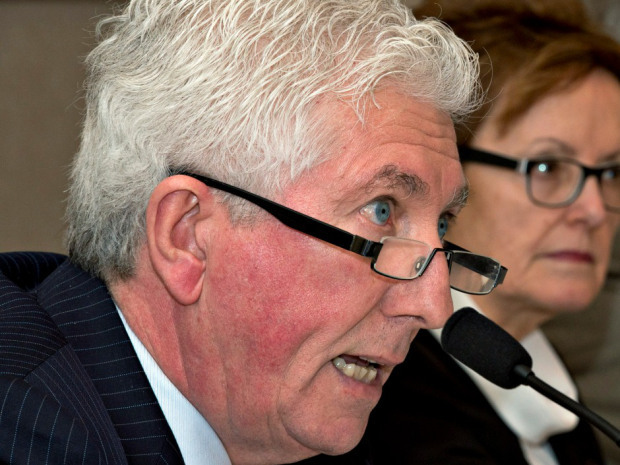 Specifically, Duceppe is calling for doctors and teachers to be exempted from the charter. If Duceppe had his way, the Jewish General Hospital and English Montreal School Board would have nothing to worry about. Duceppe isn’t entirely anti-charter. He stills believes that it should apply to people in positions of authority, such as judges and police officers. He would also like to see a ban on face covering veils — niqabs — in public and private daycares (this after a recent public hysteria after two daycare workers, at a private facility, were photographed with their faces covered). In calling for the government to ban a person from wearing a piece of clothing they identify with their religious faith in a private workplace, Duceppe arguably takes the proposed charter even further than the PQ has yet done itself — into new, even more troubling territory. If you can tell a woman what she can’t wear at a private place of work, why not in a private home? This slope sure seems slippery. But it’s still worth noting that Duceppe, who’s willing to go further than the PQ in some ways, is urging moderation as regards doctors and teachers. Clearly, he perceives that this is not the hill that the PQ should choose to fight on. Many Quebecers, including many in Montreal’s francophone community, may support the notion of the charter, or some of its provisions. But they also aren’t going to want to see disruption to schools and hospitals, even if they have no direct stake in it. As bad as anglo/allophone-francophone relations can sometimes get in Montreal, surely they’re not so bad as to leave francophones wanting to see sick allophones and young anglophones having their lives disrupted by the PQ government off in Quebec City. Because that will happen if teachers and doctors, nurses and technicians continue to be included. With a major hospital and an entire school board pledging to ignore the charter, should it pass, the PQ government will have to react, to show that they are willing to stick up for their own law. That will put the provincial government in a battle with frontline medical personnel, who save lives, and teachers, who care for and educate the young. Even if the government “wins” by bringing down the hammer, the optics will be terrible. Newspaper columns and talk-radio airwaves will be full of human interest stories about kindly doctors and beloved teachers being punished, maybe fired, for ignoring a law that a strong minority of Quebecers feel is unjust. It’s a no-win situation for the PQ, but they don’t seem inclined to avoid it. The battlelines have been drawn, and the doctors and teachers are daring the PQ to advance into no-man’s land. Duceppe knows how bad this would be for his friends — well, fellow sovereigntists, at any rate — in the PQ, and is warning them off. It will be interesting indeed to see if they listen.